What is a climbing Harness? A climbing harness is a climbing equipment that secures a person to a rope or an anchor point. According to the Wikipedia, the invention of the harness was created by Jeanne Immink, a Dutch climber in the late nineteenth century. Some of the first climbing harnesses were created in the U.K. in the early 1960s. The simplest form of a harness consists of a rope or a nylon webbing around the waist. This could be uncomfortable so a more sophisticated harness was invented to give more comfort, security, and options for carrying other climbing equipment. Currently, there are many different types of climbing harnesses with different features and designs out in the commercial world. It can be overwhelming on what harness to buy when you are new to climbing. In this article, I will share the basic components of a harness, the different types, how to size yourself with safety in mind and different body types. With the equipped information, my goal is to help you find the right harness for your need. Waist Belt – The waist belt varies in width and padding depending on the types of climbing you would like to do. The more padding and the thicker the width yield a heavier harness. Generally when climbing multi-pitch routes or a type of climbing where you will be hanging from your harness a long period of time, I would prefer wearing a thicker and more padded waist belt for comfort. Otherwise, just simple climbing in the gym, climbing competition, or outdoor recreational climbing where you are hanging on your harness for a short period, I would choose a thin, light, and less padded waist belt harness for a lighter weight on climbing up and down. Leg Loops – There are also slight padding for the leg loops and again for comfort. The primary function for the leg loop is to prevent the harness from riding up the abdomen which can cause injury. Generally, there are two options for the leg loops: adjustable and non-adjustable. For the adjustable, there is small buckle on each leg loop to adjust the size of fitting to your thigh. The purpose of the adjustable buckle is to allow the climber to fit over multiple layers of clothing when climbing in cold weather. For the non-adjustable, the leg loop is at a fixed size using a simple elastic cros-section to create a snug fit around the thigh. Climber often like the non-adjustable leg loops for less bulk and lighter weight. It is common among sport climbers who climb in climbing gym or recreation outdoor climbing. Buckles – The traditional buckles have the double back buckle meaning when you tie in the waist belt you need to slip the webbing double back through the buckle to avoid any opening or loosening during use. Most buckles for the new harnesses are now made with a system that automatically double back the loop for you. It is important to pay attention when you get your next harness for the double back buckle system so that you can tie yourself in safely. Belay Loop – The belay loop is made out of nylon webbing. It is an important loop where you lock in your locking carabiner, the belay device, and the rope to the climber. This loop is the only part of the harness that is load tested and it is the strongest point. Generally, the belay loop is made for anything hard to be attached such as a locking carabiner. It is located vertically through the tie in loops of your harness. Its primary function is for belaying your partner. Tie in points – The Tie in points are the two loops horizontal and connected to the belay loop. The belay loop is vertically threaded through the tie in loops. A climber’s rope is usually threaded through the upper and lower of the tie in points with a figure 8 knot. This technique ties in the waist belt and the leg loops spreading out the weight more effectively than tying in through the belay loop. Gear Loop – The gear loop is usually made of plastic or tough cord placed along the waist band of the harness. It is designed to carry your climbing gear such as carabiners, hooks, quickdraws, cams, and other equipment while climbing. In general, many harnesses have four loops. However, the amount of loops could vary from two to seven depending on the type of harness. When climbing in the gym, you may not need more than two gear loops while trad climbing outdoor you may want at least four to hold as many climbing gear as possible when climbing. Never use the gear loop to belay. Haul Loop – It is a loop that is made of plastic or webbing on the back of the harness. Its primary function is to attach items that you will need to take with you but do not need access to it quickly such as a second rope for longer routes or for rapelling. A chalk bag would be another great item to clip into the haul loop. Similar to the gear loop, this loop is not strong enough to hold the weight of a climber so do not attach in any weight bearing system. Rear Risers – These straps connected the two leg loops to the back of the harness. It can be adjustable to alter the size of the harness. Some rear straps can also be removable disconnecting the leg loops from the waist belt to drain your dragon or relieve your bladder without having to remove the whole harness. This particular harness with removable leg loops are called a drop-seat harness. Ice clipper slots – You can find the ice clipper slots in many mutli-purpose climbing harnesses to hold special carabiners for easy access to ice screws. There are different types of harnesses specialized for different types of climbing. Sport climbing such as climbing indoor, recreational outdoor, or competition utilize two to four gear loops because it requires minimal equipment when climbing. Climbing light is important for the climbers to conserve energy hence lighter harnesses is preferred. Traditional climbing or trad climbing generally requires more gear and climbing equipment. A minimum of four gear loops, adjustable leg loops, good padding and rear haul loop are important to trad climbers. This type of climbing is much more involved and climbers rely on climbing equipment to climb safely. Ice climbing requires harnesses that could deal with winter conditions such as adjustable leg loops with buckles, four or more gear loops to hold winter gear, ice clipper slots to hold crews and tools, extra padding, and a haul loop. Mountaineering or alpine harnesses offer all season climbing. It is good to be lightweight and adjustable leg loops, four gear loops for climbing gear, 4 clipper slots, and thin material for lightweight and packability. The harness sizes may vary from small up to extra large depending on the climber’s weight, waist and leg circumferences. Different brands have different size charts. The charts will help you estimate what size to try first. Step in a harness and give it a try. The belay loop and the tie in of the harness should be in the front. Straighten the leg loops and step your legs through. Generally, the waist belt sits snuggly over the hips where you can not pull the harness down below the hips. There should be no more than two finger gap between the waist and the harness. You can adjust the waist through the buckle and make sure that the bucke is doubled back. The leg loops should be comfortable not tight. The breathable material, lighter padding and materials are generally more expensive while the bulkier, bigger, and less ventilated material tends to be cheaper. However, all harnesses manufacturers have to go through safety certifications before the harnesses can be sold to consumers so the main concerns for you as a buyer are the sizing and the extra features or components you may want. There are harnesses made especially for women to tailor to the women’s physique. The waist belt is usually smaller and the rise which is the distance between the waist loop and the belt is bigger. Also more range of feminine colors are available in the women harnesses. Women definitely have more options on harnesses. For me, I do not need to buy a women harness if the regular or men harness will fit me comfortably. It’s all about your preference and what is comfortable for you. Young children five and under or under 88 pounds are best fitted in a full body harness. Their center of gravity is higher due to the larger head to torso ratio. As they grow, I found that the women harnesses would also will fit the older children better. My son started climbing when he was eleven years old. A Women Black Primrose fitted him best because of the small waist. In general, most harnesses comes with all the components I mentioned in this article with an exception of the ice clipper slots. If you are a new climber, a sport harness will work well as long as it is comfortable for you. The price range will vary because of the different features such as water proof mesh, light weighted padding, and others. The most expensive harnesses are not necessary the best and the safest. Choose what is the most important to you. The harness should last from three to five years depending on your frequent usage and up to ten years with occasional use and appropriate storage. Check for sign of wear and tear. When in doubt retire your harness and get a new one. Buying a used harness could be questionable. Ask the owner: how old is the harness, how often has it been used or have he or she ever taken huge falls using it. Check for sign of wear and tear. When you have doubts, buy a new one to be safe. Remember, your life is on the line. Is saving an extra few bucks worth it? 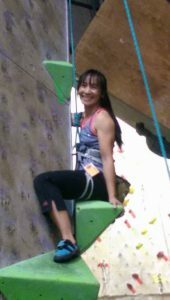 An editor from jenreviews.com reached out and shared with me their latest climbing article called “Best Climbing Harness“. The article is chuck full of information about harnesses, their pick of the best all-around harness and how to choose. Please click on Jenreviews.com if interested to read more. I hope this article help you on your research for the ultimate harness. Love to hear your thoughts or questions that you may have. Please leave your comments below.